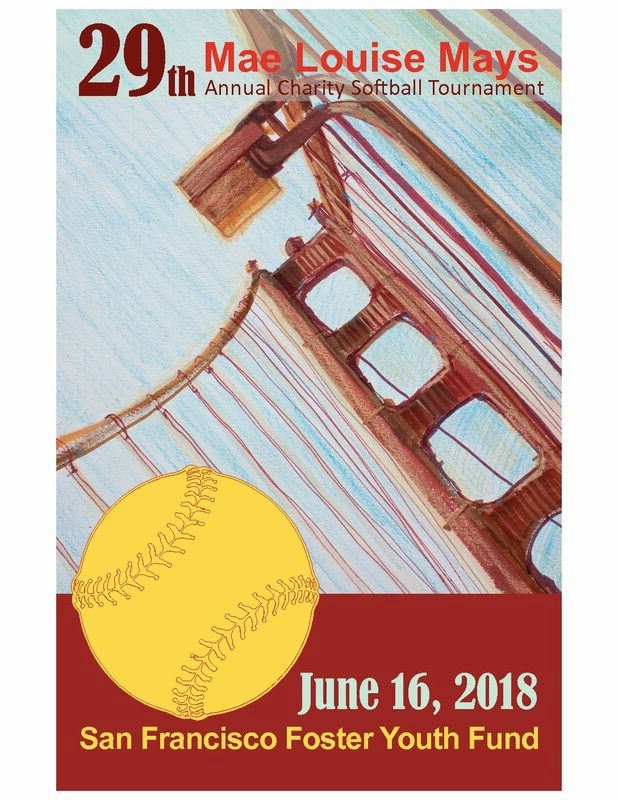 On Saturday, June 16th 2018 the San Francisco Foster Youth Fund will be staging its 29th annual charity softball tournament at Moscone Softball Fields. Families, friends, and colleagues of players are encouraged to come to the tournament to cheer their teams. Food trucks will sell hot dogs, hamburgers, and other items. The tournament has free activities for children, including an inflatable slide and jumper, as well as a baseball clinic with former major league players giving basic instruction to young players. The Softball Tournament is dedicated to the memory of Mae Louise Mays, a social worker with the San Francisco Human Services Agency in the 1960’s and 70’s, and a pioneer in recruiting African America families to adopt African American children. Social workers today build on her work. She had a unique connection, having married the greatest baseball player ever, one who had a similar commitment to helping children, Willie Mays. To meet Mae Louise Mays, watch this three minute video, featuring her describing how she met her husband and footage of her in action as a social worker.. A portion of the tournament proceeds will benefit Mr. Mays’s Charity The Say Hey Foundation. This year’s tournament is dedicated to Mayor Ed Lee. A long-time supporter of the tournament, Mayor Lee appreciated the dedication of city employees who came together to raise money for San Francisco’s most vulnerable children. In 2016 Mayor Lee asked tournament organizers to rename the event after Mae Louise Mays, a pioneering social worker who was a hero to foster children. She had passed away shortly before the tournament, and Mayor Lee wanted to both honor her work and express the city’s sympathy to her husband, baseball hero Willie Mays.